(Nanowerk News) Killer robots that can attack targets without any human input "should not have the power of life and death over human beings," a new draft U.N. report says. The report for the U.N. Human Rights Commission posted online (pdf), posted online this week deals with legal and philosophical issues involved in giving robots lethal powers over humans, echoing countless science-fiction novels and films. The debate dates to author Isaac Asimov's first rule for robots in the 1942 story "Runaround:" ''A robot may not injure a human being or, through inaction, allow a human being to come to harm." The U.S. Phalanx system for Aegis-class cruisers, which automatically detects, tracks and engages anti-air warfare threats such as anti-ship missiles and aircraft. Israel's Harpy, a "Fire-and-Forget" autonomous weapon system designed to detect, attack and destroy radar emitters. 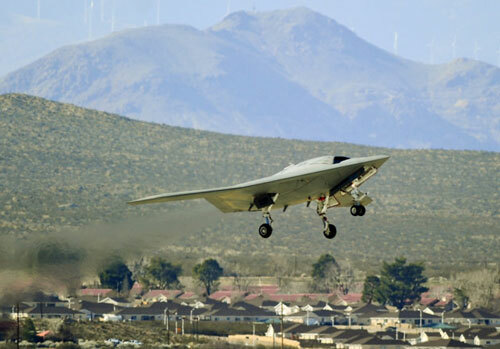 Britain's Taranis jet-propelled combat drone prototype that can autonomously search, identify and locate enemies but can only engage with a target when authorized by mission command. It also can defend itself against enemy aircraft. The Samsung Techwin surveillance and security guard robots, deployed in the demilitarized zone between North and South Korea, to detect targets through infrared sensors. They are currently operated by humans but have an "automatic mode."